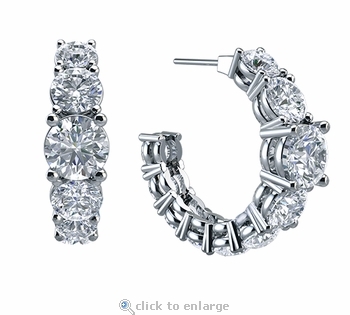 The Omni Round 15 Carat Large Graduated Prong Set Cubic Zirconia Hoop Earrings feature a total of approximately 7.5 carats in each earring for a total of 15 carats for the pair. 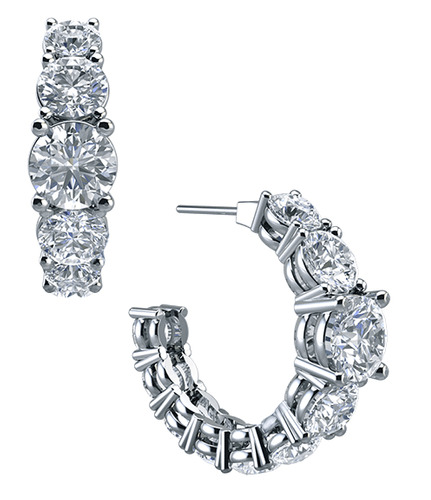 A 2 carat 8mm round is the focal point followed by 9 additional graduated cubic zirconia rounds. 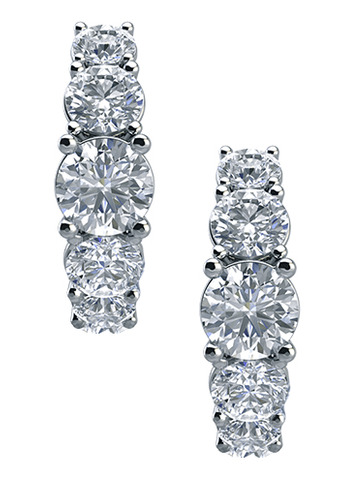 These elegant earrings are beautifully made and are perfect to wear from day to night and for special occasions. 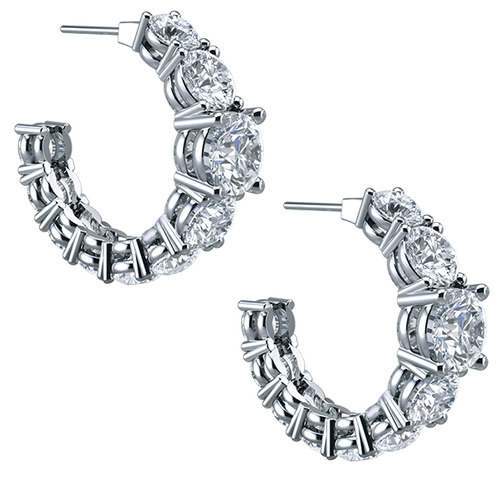 They are very versatile and match great with many styles of jewelry with its traditional eternity styling. Our Russian formula cubic zirconia is hand cut and hand polished to exact diamond specifications and set in a high quality mounting made in solid 14k white gold, 14k yellow gold and 14k rose gold. Standard backs are included, but large backs are recommended for support and comfort. For further assistance, please visit us via live chat or call us directly at 1-866-942-6663, option 2 to speak with a knowledgeable representative.